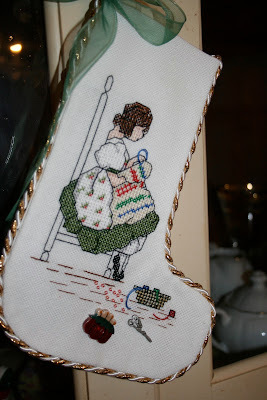 Today find's us at our third installment of "Sewing Christmas" our goal of making Christmas gifts each month. This month's creations come to us by the very talented hands of my Mom, Helen. I had asked my Mom, at Christmas, if she would make some of her beautiful felt ornaments that could be tucked away for gifts. She showed up on Friday with my Dad and some wonderful treasures. My Mom loves to cross stitch and has taken up quilting in recent years. 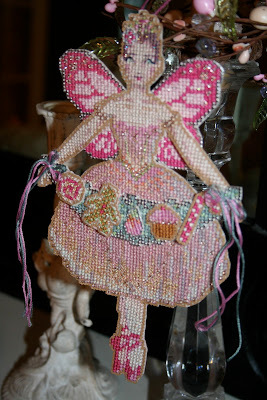 I have always loved her ornaments and have enjoyed them since I was small. The felt kits are becoming harder and harder to find, making me cherish the pieces that she has created throughout the years. This little cupcake looks good enough to eat! 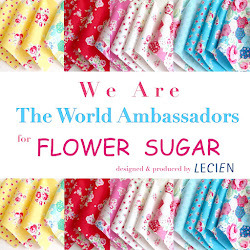 If you have a Christmas gift idea to share, please join me through the link below. Blessings! Oh my! Your Mom's ornaments are so cute. I love snowmen and those are the cutest. You are right, the cupcake looks delicious, as does the whole plate of "goodies". Thanks for sharing your Mom's talent. I'm having picture issues, but hope to have mine up in a bit. Those are some lovely ornaments that your mother had made. Those are the kind we treasure forever...made with such love!! Have a nice day dear friend. How beautiful! Aww Renee I'm so excited you received your package already :) Have a blessed day!! Your mom's ornaments are so cute, a real treasure. That cupcake looks good enough to eat! Great pictures. What beautiful articles to be handed down over the generations. Blessings! Hi Renee! What a wonderful post! 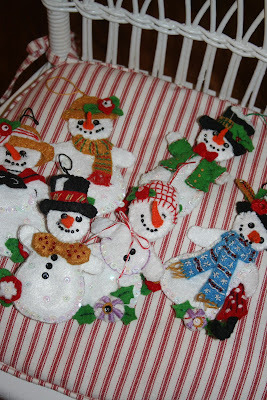 I just love knowing others appreciate how wonderful felt Christmas ornaments are. Your mother's are so cute! What cute, cute ornments your mom makes. I love the cupcake one! I know you treasure each one! Your mom's work is just beautiful. How sweet of her to offer her talents. I'm a little late to the party and missed the linky but I did manage to complete one Christmas gift for safe keeping.